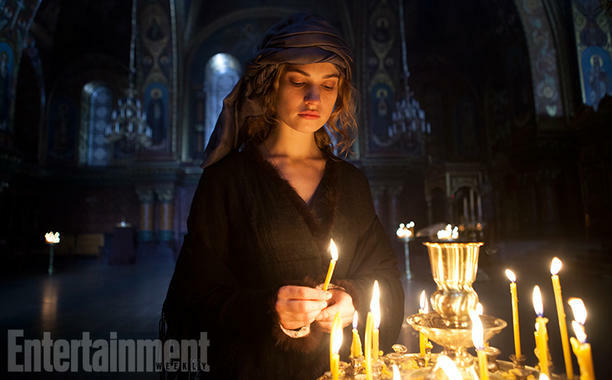 I first shared these images from the BBC production of War & Peace this past August. Now I’ve learned that instead of watching the ‘limited series’ on PBS/Masterpiece as you might have expected (I did!) here in the states we’ll be seeing it on Lifetime, A&E and/or the History channel in January of 2016. I’m not sure how that works, pick one? Simulcast? Watching her ‘polyamorous’ performance in The Fall with Jamie Dornan—catch up on Netflix—I am super-psyched to see Gillian Anderson as Anna Pavlovna. 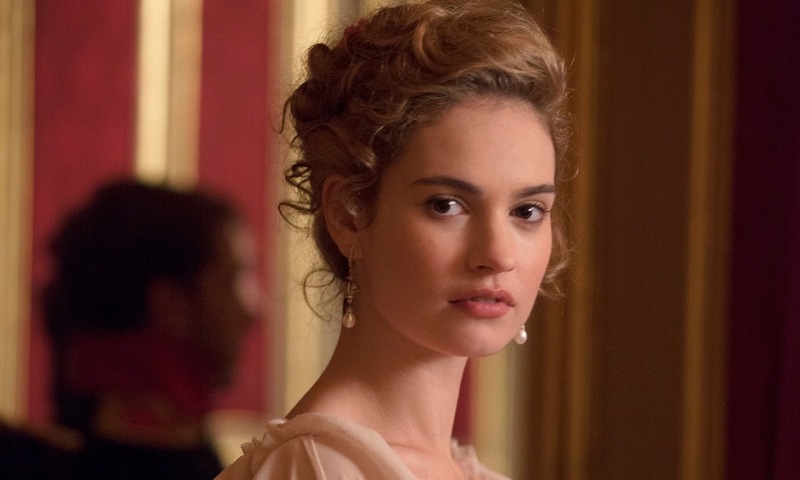 Lily James, as we English period drama fans know, hails from Downton Abbey and is one of the newer next big things. 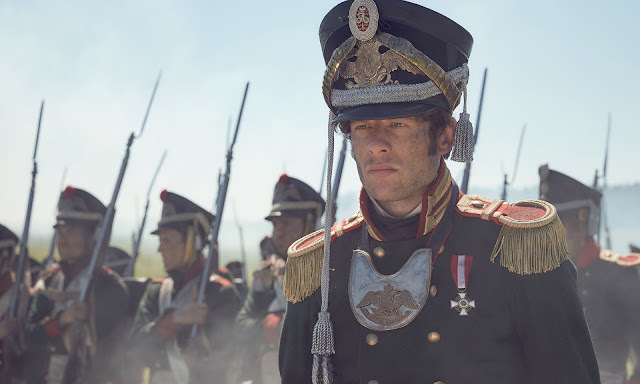 James Norton is the handsome Brit you might have watched in Grantchester; he was phenomenal as a psycho in Happy Valley. Paul Dano was most recently the young Brian Wilson in Love & Mercy; I first noticed him as the suicidal son in Little Miss Sunshine. The BBC recently released the first images of the three stars of the upcoming series based on Tolstoy's War & Peace: James Norton—fresh from the pages of Grantchester as Prince Bolkonsky, Lily James out of the Abbey at Downton as Natasha Rostov and Paul Dano, in a surprising casting move that takes him from playing Beach Boy Brian Wilson in Love & Mercy to Bezukhov. Gillian Anderson, Jim Broadbent, Stephen Rea and Rebecca Front also star. Natasha Rostov (Lily James) in War and Peace. I know some of you are out there busily rereading Tolstoy’s classic. The BBC series hits BBC-1 this winter, arriving in the US sometime shortly thereafter. The book is 1273 pages, plus or minus, depending on what edition you're reading. One thousand, two hundred and seventy-three pages. Just scrolling through the chapter headings on the Guttenberg project gives me a headache, but yes, the good news is that Tolstoy's classic is available to read for free there. Page for page, that's a great value! Here's the link, should you be so inclined. Call me intellectually lazy if you will, but I just don't think I can do it. Although I do admit reading these opening paragraphs does increase my desire to see Gillian Anderson as Anna Pavlovna as well as Stephen Rea as Prince Vassily Kuragin! Go ahead, give this opening section a read, how does it grab you? Let me know in the comments section below. Pierre Bezukhov (Paul Dano) in War and Peace. So? Are you going to read —re-read— Tolstoy’s classic first?